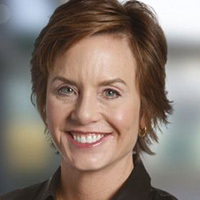 Carrie Schwab-Pomerantz, CFP®, is a leading advocate for financial literacy and one of America’s most trusted sources for financial advice. As leader of Schwab Community Services as well as board chair and president of Charles Schwab Foundation, she is devoted to making investing more accessible to the American public, helping men and women from all walks of life take better control of their finances. In 2010 Schwab-Pomerantz was appointed by President Obama to the President’s Advisory Council on Financial Capability, and she chaired the Partnership Committee until early 2013. In that role, she led the Council’s efforts to strengthen coordination between public and private-sector financial education programs. She also served as an advisor to the President’s Advisory Council on Financial Literacy under former President George W. Bush. Under her leadership, Charles Schwab Foundation has concentrated its resources to support financial literacy. This focus reflects Schwab’s history of breaking down barriers to investing, and also serves to unite employees around a common purpose. Of specific note are two financial education programs: Money Matters: Make It Count, a personal finance program for teens created with Boys & Girls Clubs of America, and AARP Foundation Finances 50+, a program for low-income workers and job-seekers age 50 and older. With her father, Charles R. Schwab, she also co-authored It Pays to Talk: How to Have the Essential Conversations with Your Family about Moneyand Investing (Crown Business: 2002). Schwab-Pomerantz writes a weekly column called Ask Carrie, which appears on schwab.com, Parade.com, Huffington Post, and is syndicated through Creators News Service. In addition, as a LinkedIn ‘Influencer,’ she contributes frequent thought-leadership articles to a worldwide audience. Schwab-Pomerantz’s media and public appearances have included Good Morning America, The Today Show, CNBC and NPR among other major media outlets, as well as the World Affairs Council of Philadelphia and the San Francisco Commonwealth Club. For ten years (2003-2011, 2013), The San Francisco Business Times named her one of the Bay Area’s 100 Most Influential Women in Business, and in 2015 the publication named her to the “Forever Influential” Honor Roll. In 2011, Schwab-Pomerantz received the William E. Odom Visionary Leadership Award, Jump$tart Coalition’s highest recognition for contributions to the financial education of students. In 2015 she was nominated by the San Francisco Chronicle for its inaugural “Visionary of the Year” award, recognizing leaders in the Bay Area who drive social and economic change through innovation. Schwab-Pomerantz serves as director and board chair of Schwab Charitable, one of the country’s largest donor-advised funds. She also serves on the national board of governors of Boys & Girls Clubs of America and chairs the board of trustees for the Pacific region. Schwab-Pomerantz earned a BA from the University of California, Berkeley, and an MBA from George Washington University. She holds FINRA Series 7, 23, 63 and 8 securities registrations, and is a CERTIFIED FINANCIAL PLANNER™ certificant. She lives with her husband, author Gary M. Pomerantz, and their three children in the San Francisco Bay Area.